And today we are back with another Reader feature. Today's reader is an entrepreneur and runs a successful Tours and Travel Company in Mumbai. 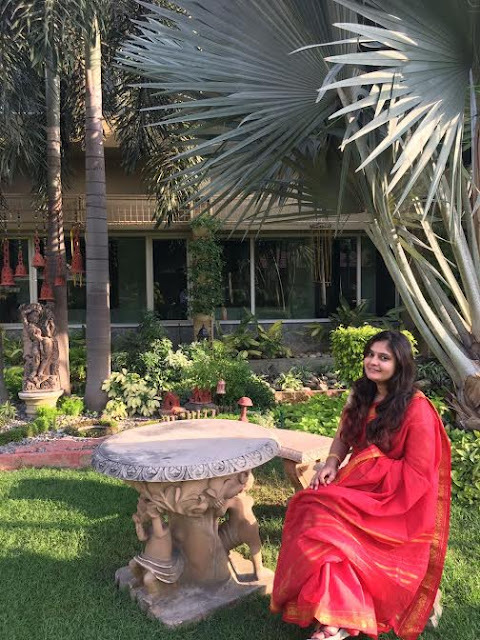 As much as she loves to travel, she loves flaunting her sarees. So, here we go...over to you Richa. As much as I love to travel and work, I love wearing sarees. I mean where would you find an outfit that's elegant, can be worn for any occasion, never goes out of fashion and fits each and every size. 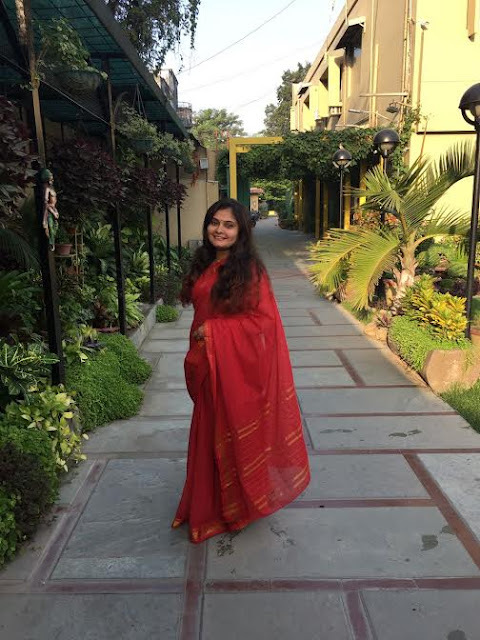 I love reading So-Saree because it not only talks about my favourite outfit, but also because it covers most topics of my interest like food, travel, festivals and much more. 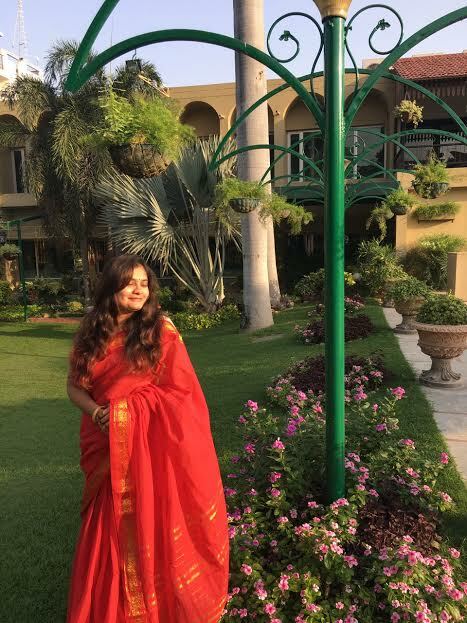 Below are a few pics of me wearing a saree on my trip to the holy city of Varanasi. Thanks Richa for sharing your pics. You look absolutely beautiful. Cheers to our f'ship ! !